TEA TIME! Or "Jeeves, just bring the whole damned pot!" Yanno, I do this for you just to show the absurdity of the situation in the romance book publishing/reviewing sphere.. I am late to this tea party because, because...I DO NOT CARE ANYMORE! No matter how I sound, I really do not care. I carve out my own path and do not lose sleep about this nonsense. I do this to reveal the boobytrapped obstacle course that a faction of authors in that closed world must slog through. If you ever watched Dan Ackroyd on SNL as a pompous reviewer years back called Leonard Pinth-Garnell, you'll get my drift. The sleep-reading that passes for romance book reviewing at present is just a never ending installment of Bad Book Reviewer. The venerated (and I laugh when I say that word) Kirkus Reviews has a contributor who posts regularly on diverse (that damned D-word again! Yes I named my blog using it but it has come to mean "catchall" at present) books. She hosts a feature called READ A ROMANCE where she has devoted a month to highlighting D-books. I shall not name the person because when you click the link you'll see it. Anyhoo, the kicker is the woman does NOT read the D-books she is supposedly boosting, helping out. ON A BOOK REVIEW SITE! She cannot even take the time to read what she is supposed to be reading to report on it intelligently and fairly. Let that sink in. The most I can give her is that she's honest. But she then got defensive and said more or less (gotta read between those lines, people!) that authors of color and writers of LGBTQIA, who are LGBTQIA, who write romance should be nice. Should be happy for the morsels tossed their way.Yeah. Like respectability politics get tons done nowadays. Well, if what this woman, with a quite visible platform, said didn't hit the aforementioned authors in the face like Laugh-In's Ruth Bussy's handbag, I do not know what else would. That was a blatant "well, I'll ride this diversity train to get views on my column but I really don't wanna sit down." In actuality, hon, you need to take a seat. In more precise terms the column was a polite "eff you" to all authors of color and all writers of LBGTQIA who are LGBTQIA if I say so myself. But she sneakily did it by being all passive-aggressive, with a shot of willful ignorance (if there is such a phenomenon) directed at a single author who'd responded in the comment section of a previous post. Seems the woman just can't get around to reading those DIVERSE books she's posting about. REALLY? Too busy because you're reading that fluffy, comfy, routine 2,000th Regency-era set romance that my deceased grandma could rise from her grave and tell you about without disturbing the earth around her? Look. Read what you want. With help like yours who needs...You get where I'm coming from. So do authors of D-books a favor. Taisez-vous! Yanno, lady,what you did was a slap in the face to the folk who you contacted, or who contacted you, to be in your "event." Not to mention a waste of people's time. So disrespectful. Then to add insult to injury, what should have been a discussion of the nature of D-books, became all about her experience with reading them. Or NOT reading them. An experience that appeared trying due to all the whining, hand wringing and "if only you'd do this" and basically "be nice" pontificating she exhibited throughout her post. As a so called ally, she failed miserably and forfeits her cookies. And helped NO ONE. NO ONE! Make sure you read the comments to fully digest the beautiful logic that is author Courtney Milan. Ok, I'm outta here before agita sets in. I believe people who remember these two groups think that either one was invented to cancel out the other. I just see them as two groups who saw that Black performers could do soul and pop. Actually, both groups did what was labeled (folk just love being able to pigeonhole something) as psychedelic soul, sunshine pop. I mean it was the late 60s-early 70s. Anyhoo, I liked them both and would play their records endlessly (while lip-syncing in front of my mirror with a brush in my hand as a mic.) They both were so, so, so...cool. I adored the clothes. And they passed my mother's sing test. She said that they really knew how to sing because everything wasn't hootin' and hollerin' and gyratin.' LOL. What else would I expect a woman to say who once was in a city opera group? 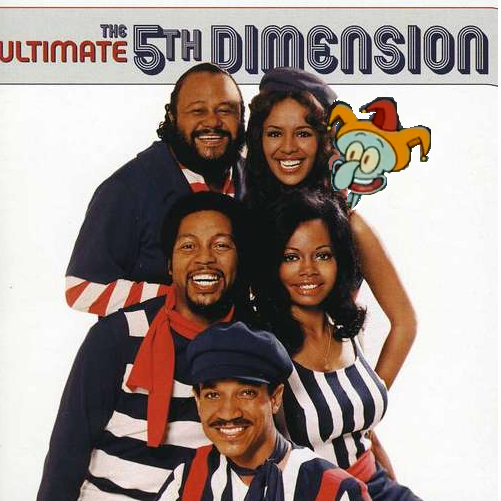 She loved Marilyn McCoo of the 5th Dimension's voice and diction; she also loved Jessica Cleaves' range. I just loved the carefree, bouncy sound and that in their heyday they both ruled the Billboard Hot 100. Cleaves and Ron Townson are gone but both groups still perform today in various incarnations. Nothing like the groovy late 60s-early 70s sounds, man. Now where is my fringed vest? Friends of Distinction hits? So many also but here is a link to my fav: "Love or Let Me Be Lonely"
All right here are a few of my favorite divas. I remember when Miss Patti was a Bluebelle and was selling her heart to the junkman up to when she headed LaBelle and then broke out on her own. Enjoy your divadom with your select concert dates, your empire and your boo. Yes, when I'm 71 I intend to be so blessed. 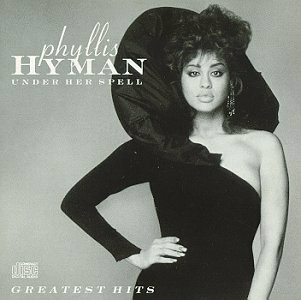 Phyllis Hyman. Phyllis Hyman. A singer from the 70s and Pittsburgh who loved performing in Philly. What can I say about her except that her voice was lush and full of emotion (man could she sing emotion) and is so sorely missed. So many terrific songs by her. My top ones? 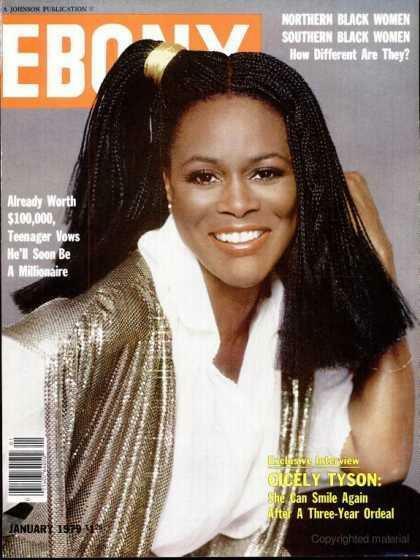 Her cover of The Stylistics Betcha By Golly Wow, Meet Me on the Moon which sends me over the moon every time I hear it. It gives me chills. Oh Phyllis, honey, if only you could have told the fools to step off, we'd still be hearing your voice. And Miss Baker! Where the Hell are you? You need to show these pretenders, along with Miss Jackson, how a queen entertains. New music please! I will be listening to all of these ladies' efforts this snowy weekend. You should too. Jada Pinkett Smith and her assessment of the Academy Awards- Canary in the mine? Oh, Jada, honey, you have roused the lizards dozing in the sun on the Oscar board and riled up a fellow Black thespian to speak out against you. First of all, I'm glad you and Will have the paper to weather the s&&&storm that is going to swirl around you. Naw, it won't be outright, blatant blacklisting of you two. Naw, the folk in H'wood nowadays just act like you aren't there if you displease them. Meaning? Calls won't be returned. Lunch dates will be cancelled at the last minute. That project you thought was a go, will suddenly be a no-go. You'll just get igged to death. Ask the recently resurrected Mel Gibson. Just saw him on the Golden Globe Awards show. Had not seen or heard from mister man in years. Years. But hey, there he was. Joking like he hadn't pissed off more than half of those people in the room. Why? Because his exile had ended. He'd been allowed back in the fold after sufficient groveling and penance. Hollywood. The only place where you can re-virginate. Is that a word? And the point of this post? Jada reminds me of every non-White romance/YA writer on Twitter who calls out the latent prejudice in the book publishing world. The sole difference is that they do not have Mrs. Smith money. Otherwise, all the other stuff is equal: the tone-deafness of the powers-that-be, the insincerity of said powers, the unbelievable hubris of the dolts who run and work in Big Five book publishing. The parallels are shockingly similar right down to the way the protests of the "rabble" are placated. The issuing of platitudes, the grandstanding, the vague, rambling mission statements. The unabashed bias exhibited by some known White authors. So, whether it's H'wood or Big Five Country, if a performer/writer of color wants to be part of the club, one is expected to play the game, be grateful with whatever crumb is tossed one's way and shut the eff up. One is not to object to being closed out but is supposed to smile and sigh "Oh, next time I guess." (And the few who do have a reading audience are in no way obligated to risk anything. Let them alone. It's not about calling out anyone. It's about supporting colleagues.) So, Jada might have been stringent (personally, I thought she was eloquent) but Jada spoke TRUTH. And hard truth is sometimes hard to hear. Just wish the romance/YA world had such a champion. THE OHIO PLAYERS! This funk, R-and-B group, who hit it big in the 70s, hails from Dayton, Ohio. Another of those bands with a slew of guys, matching outfits and a badass bass player. Heaven. Aah! This band has had at least 25 folks traipse through their doors but they have all been professional musicians. Hence their name. They prided themselves on being trained music players. Known for their elaborate stage shows and provocative album covers, Those album covers! I remember my mom perusing the record sleeves asking, "Should this be something I should be worried about you listening to?" Of course I'd bat my eyelashes and say, "Nope." I knew she didn't believe me and I knew she played them when I wasn't home. Talk about an education. Their top songs were Fire, Pleasure, Pain, Skin Tight, Sweet Sticky Thing, Funky Worm, Sweat, Love Rollercoaster. See the pattern there? This group still tours intermittently but none of the originals, who were called the Ohio Untouchables when they began, participate. Only one guy is left (Marshall Jones, the badass bass player) and he lives in Jamestown, Ohio. Believe me they were wild. W-w-w-wild I tell ya. Ziggy has left the building! I have adored this man and his music since his Ziggy Stardust days! Always innovative. Always pushing that envelope. Never boring. I recall back in high school, a friend and I was trying to come up with a plan to get into the Tower Theater for one of his concerts. Why were we "trying?" Because waaaaaay back then you had to be a at least 18 to get in. We were only 15. :( Never did come up with a plan. No amount of make up, stuffing of the bra or high platform shoes could make us look legal. Oh, well. So we stayed home and listened to The Man Who Sold the World and Life on Mars. I remember when he used to come to Philly to record at the world-famous Sigma Sound Studios. Crowds would wait to see him pull up and rush into the studio. Rest in Peace, Ziggy and thank you.. You truly are golden stardust now. I have a confession to make. My all-time fav music is the soul, funk, R-n-B of the past but my other musical love is the male group. The all male groups of that time are terrific too. Today I'd like to reminisce about two from my youth. THE WHISPERS and BLUE MAGIC. GREAT TUNES ALL! They are still performing. the 'tude oozing from this photo tho. Dying to know what the color of those suits were. Dying. 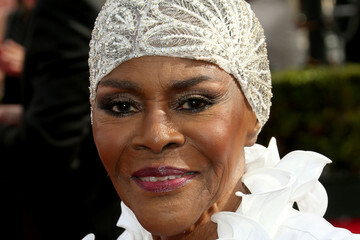 The many faces of Cicely Tyson. The top picture is the most recent. 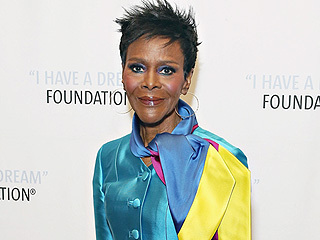 This recent Kennedy Center honoree is 91! NINETY-EFFIN-ONE! She hit that mark this past December 18th. And she is a vegan. You don't reach that age eating the standard American diet of Cheetos, Doritos, tacos (from the Bell, not the real ones) and Big Gulps. No sir!. I vaguely recall a TV show she was on when I was knee-high. East Side/West Side was a drama series centered on a NYC welfare agency headed by George C. Scott and Ms. Tyson as secretary, Jane Foster. And oh was she glorious in it. 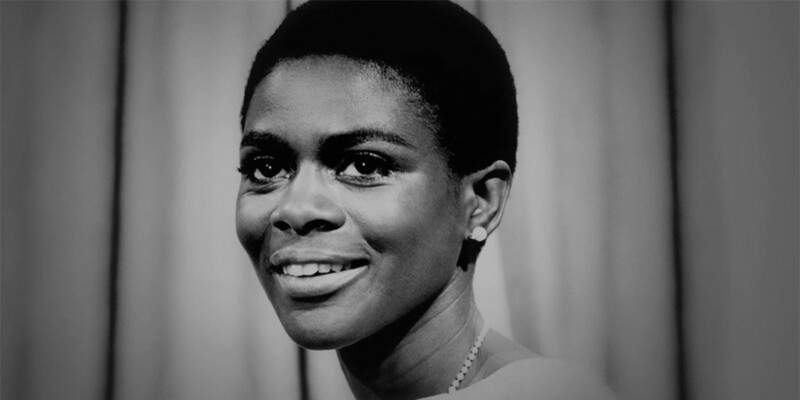 Of West Indian parents, she was the first American Black woman to be seen wearing her hair natural on a major TV show. No wigs, no bouffant flips! Oh man. Hand me a salad with a carrot juice chaser. What a way to start a new year. A woman whose first album I played as much as the late Minnie Riperton's when it came out has passed. The classy Natalie Cole! Say what you want about her life but she owned it. A voice as smooth as her father's. Now gone. Thanks for some wonderful phrasing applied to memorable songs, Ms. Cole. "Inseparable", "No Plans for the Future", "Our Love", "Annie Mae", "I Can't Say No", "I've Got Love On My Mind"
I really do mean that. May you forget the disappointments and the coulda-shoulda-woulda of 2015. I vow to myself to try to NOT let the fools get me down in 2016. My resolutions? Like I said, not to let the unenlightened get me down. That refers mainly to the still cretinous romance book review world. 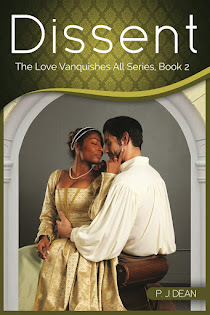 As I stated in another blog, I'm over the diversity in romance publishing boondoggle. Done. Stick a fork in it done. Put it on a platter done. Yawn. And yawn again. My books aren't MULTICULTURAL, I feel bad because I'm supposed to embrace that description. I see why the designation is needed but it reeks of segregation. My romances are like the gazillion out there BUT happen to have non-Caucasian leads. That is all. If you ever see a book of mine classified as MULTICULTURAL, it is because others have labelled it so. They can do it. Not me. Not that bloggers and writers and readers shouldn't want to know what the premise of a book is. BUT to have to KNOW if the leads AREN'T Caucasian? Oh my. Nope. Won't play the game. But really, some in the romance world are best put in a dark room, never to be heard from again until they shed their bigoted ways. And no that is NOT a plot to one of those creepy abduction/assault/I-love-you but-I'm-awkward with-women-so-to-get-a-date-I-have-to-kidnap-one/Stockholm Syndrome "romances" that are all the rage. Fools will make me have to meditate twice a day if I take them seriously. Breathe in, breathe out. Okay, I'm better. 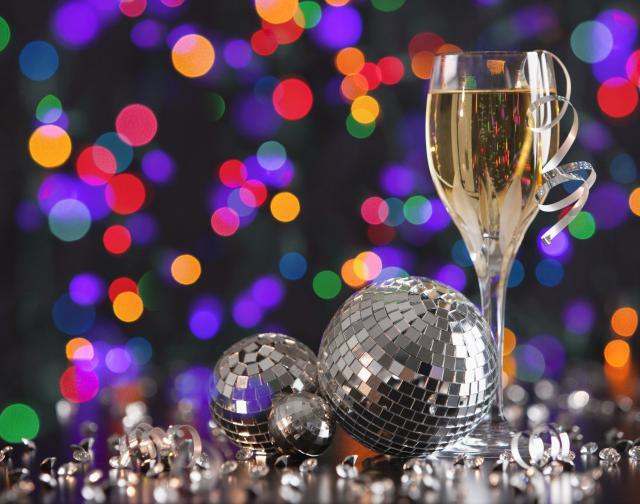 Bring on 2016!